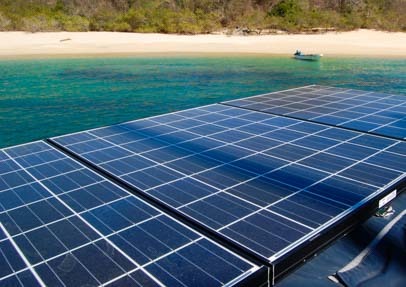 RV / Marine Battery Charging - Solar & Shore Power Combined! 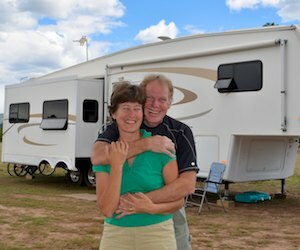 This entry was posted in Solar and tagged Battery Charging, New, Non-Travel, Popular Articles, RV Tech Tips, RV Technical Topics, Solar Power Related by Roads Less Traveled. Bookmark the permalink. As usual, a great read! I have one concern that I would like to address. We are taking advantage of our solar panels and of course the engine alternator when we are rolling down the highway. 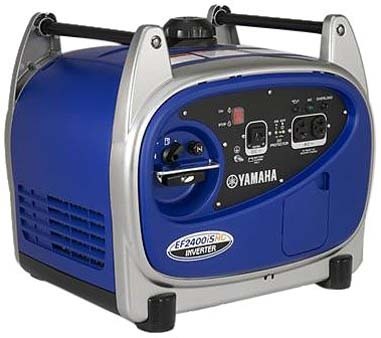 My question, and it may be time for me to do some research of my own, but does the alternator current pass through the converter before reaching the batteries? You may already know this, and if you do of course I will take the easy way out but if not, I will begin my research. 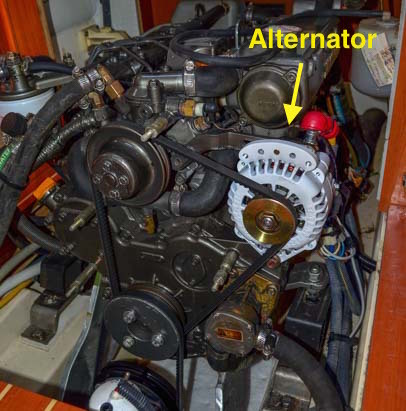 I just know that the alternator puts out a lot of current and if it is not regulated it might boil the deep cycle batteries used for the coach while recharging the chassis battery. 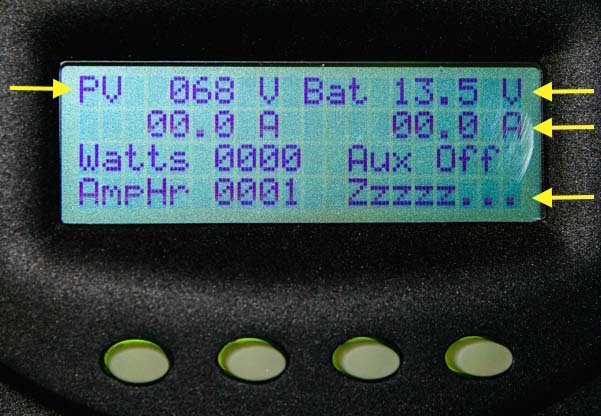 I am now thinking that I could easily find this out by turning off the converter and starting the engine – I’m thinking that a simple multi-meter or just watching the solar charge controllers reaction would give me my answer. Thanks again for all of your wonderful post; from Charging Systems to Camera Tips! You guys rock! I’m not sure, Russell, but I wouldn’t think so. I would think the alternator output goes straight to the batteries. 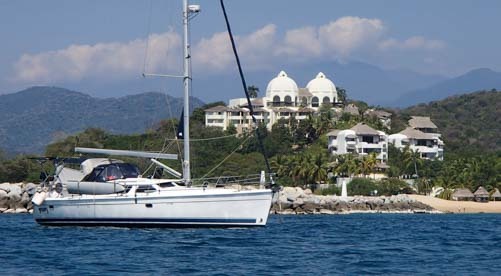 Certainly, on our boat, the cables coming from the alternator went straight to the positive side of the batteries and ground. 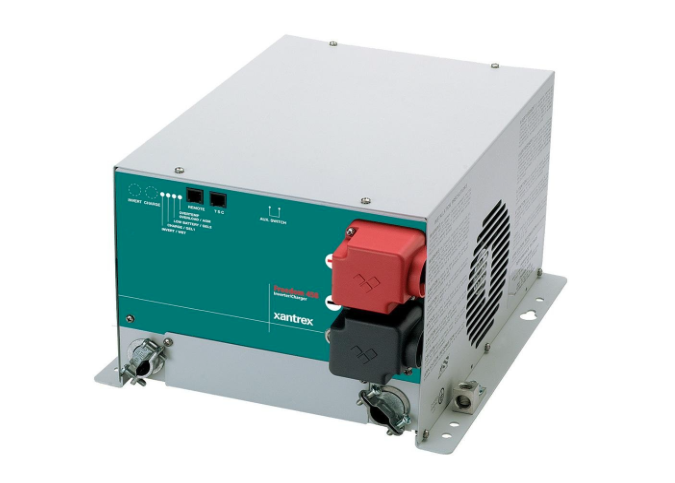 The converter converts A/C to D/C and again (for us) in our trailer the output of the converter goes to the positive side of the batteries and ground. I wouldn’t think the converter would be running when you are driving your MH since it is used only when you plug in the shore power cord. Our converter doesn’t have an on/off switch but is at the ready at all times waiting for the shore power cord to be plugged in. 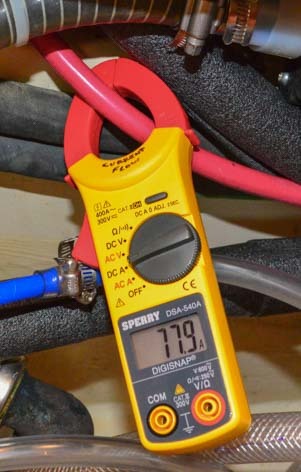 Our little clamp-on ammeter/voltmeter is fantastic for getting currents at various points in the system. Excellent information! 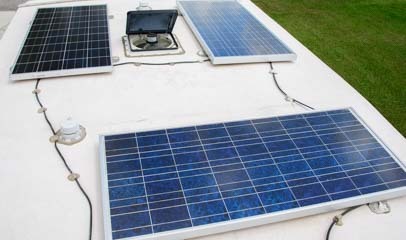 I am a novice but trying to plan the best configuration for the solar panel install on my sailboat. If I bring the cables from the panels into the hull from the back of the boat (as currently planned) I am right at the shore power charging system. 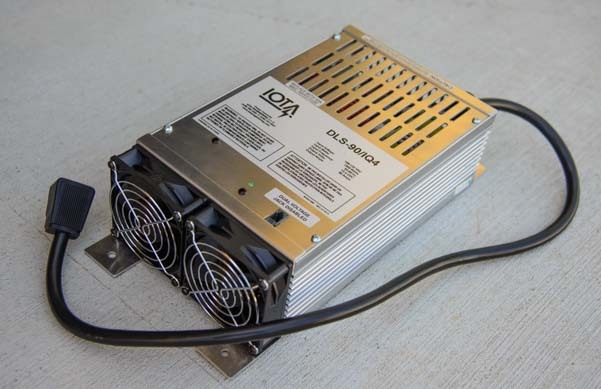 Is it possible to connect the solar power to the shore power charge controller and avoid having to run an additional set of cables from controller to the batteries? Your real-world experiences with this issue are invaluable! Thanks so much for sharing them. The way you explained using one or more charging methods for your batteries was extremely helpful as I convert a school bus into a full time RV. Thanks a ton! You are welcome, Justin. Good luck with your installation! Thanks for this write up. I’ve been looking for exactly this information for quite a while and apparently wasn’t using the best search words. This both puts my mind at ease if I do either, nothing but use the factory algorithms or look deeper into making the system more efficient and effective. The factory algorithms are designed to do the trick without taking the batteries to too high a voltage for too long. However, if you want to optimize the algorithm, you are usually given the ability to do so with most of the more sophisticated charge controllers. Good luck and enjoy your off-grid living! Kathy, I don’t know the specifics of your installation, so I can’t answer that definitively. 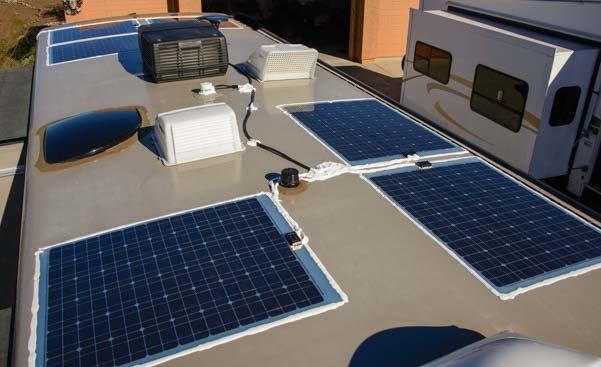 In our RV and sailboat installations the “solar charging system” (solar panels, solar charge controller and batteries) are independent of the shore power system (where we plug in our portable generator) which supplies 120v AC power to the outlets and certain appliances onboard. You might want to read our article on using solar power in conjunction with shore power to get more insights. I don’t know anything about that product, or any similar product, so it’s impossible for me to comment on it, although it sounds good. 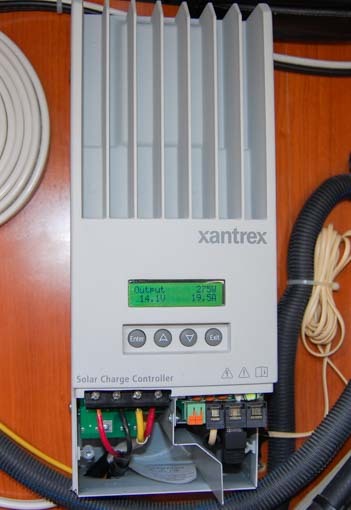 In the installations we have done we have always used a separate solar charge controller and a separate inverter. Good luck!